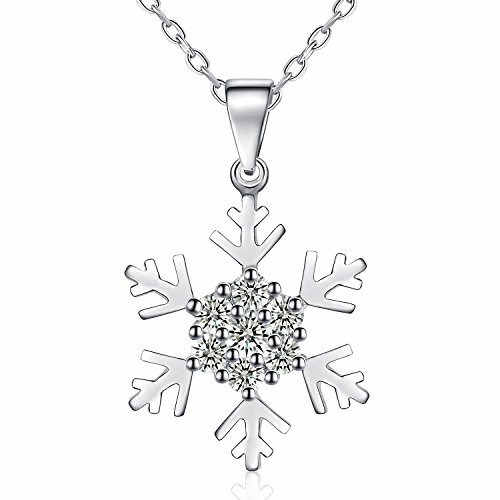 Crafted out of sterling silver to reveal a beautiful snowflake with brilliant zirconia nestled in the middle, this is the epitome of a winter wonderland. 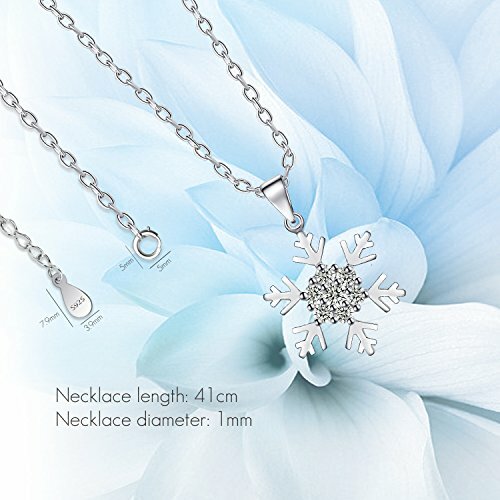 Elegant and enchanting, this intricate necklace pendant promises to add a little sparkle to life. 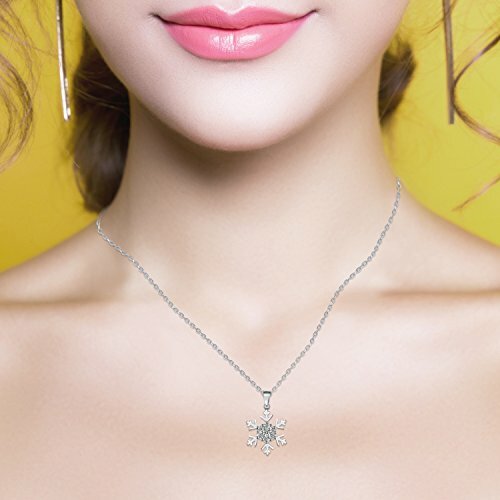 925 Sterling Silver: Made of fine 925 Sterling Silver, this necklace has undergone silver multi-layer plating and exquisite workmanship, making it much more durable than ordinary alloy-coated jewelry. 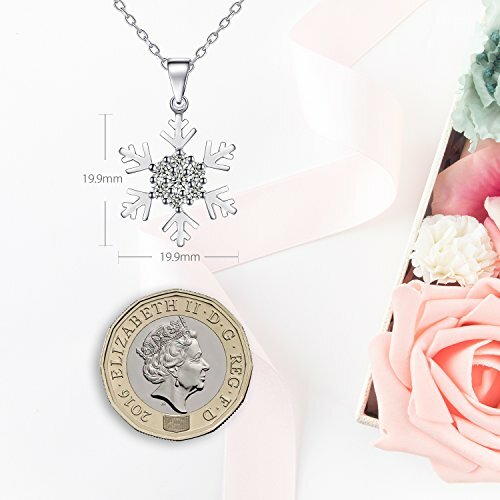 Top-grade Zirconium: Specialized diamond cutting technology has been used on 57 independent cutting surfaces to achieve unparalleled brilliance. 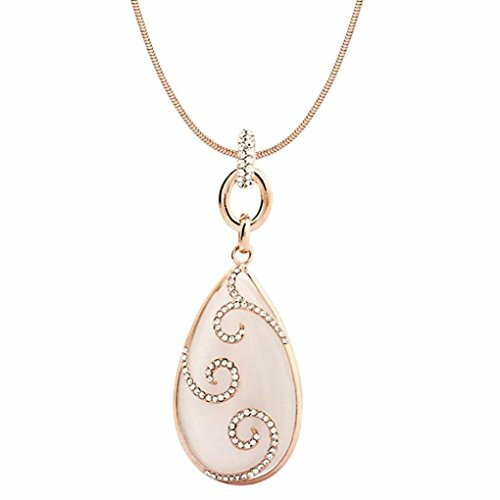 Each zirconia has been graded by the diamond rating authority US GIA (Gemological Institute of America) for its excellent cut. 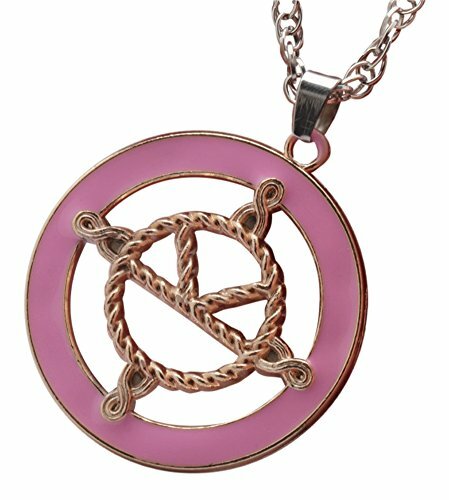 Still worried that your chain will break? 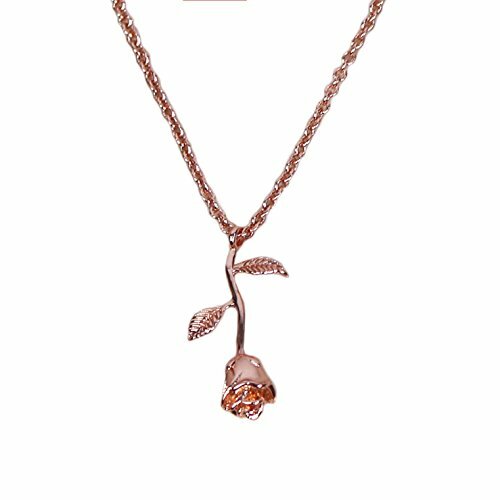 Made in Italy, the Rosey necklace chain possesses high durability. It has passed rigorous tensile test and does not deform easily. 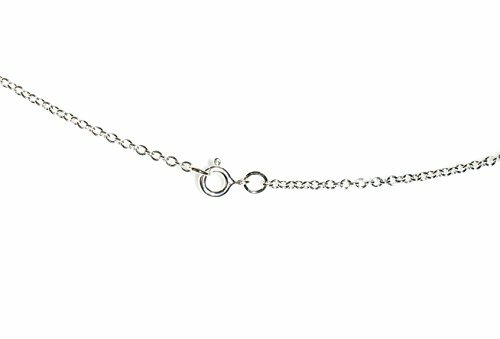 It is a beautiful yet enduring necklace chain to include in your collection. 2. On any occasion: Christmas, Valentine’s Day, Anniversaries, Birthdays, etc. 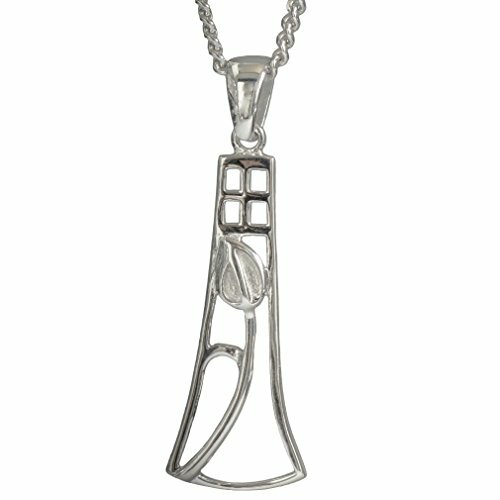 Thus this necklace is perfect for personal keeping, it is also an Ideal gift for the one being cherished. 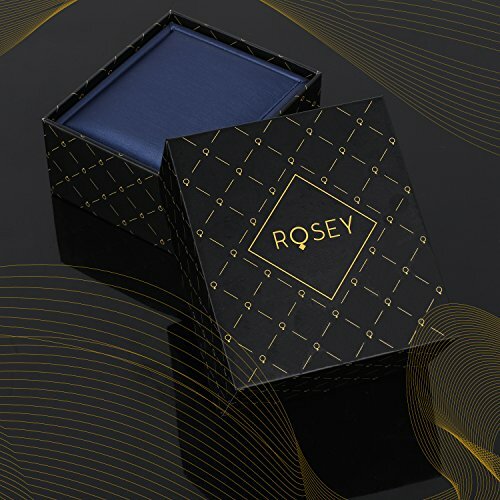  Exclusive Package: Delivered in a lovely jewelry box. 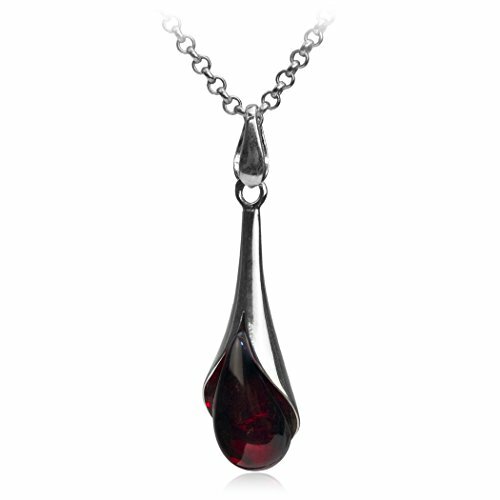 Included in the box is a micro-fiber polishing cloth to keep your necklace sparkling. 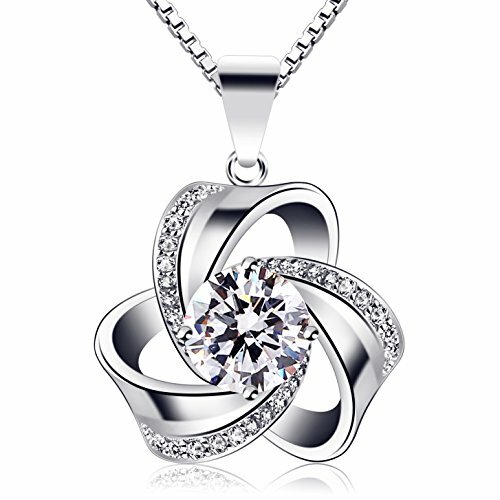  Customer Service: 100% satisfaction and money back guarantee. Please contact us if there are any problems with the purchase and we shall strive to make it right within 24 hours. 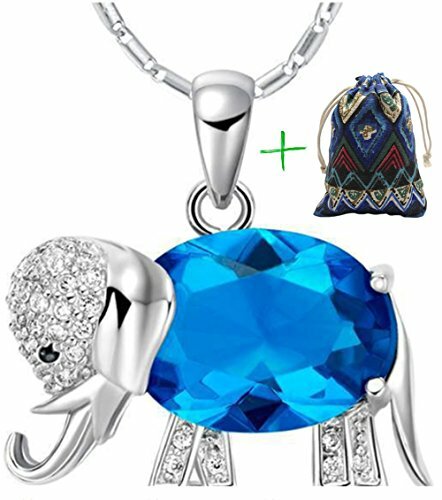 ✔️ A Stunning Animal Necklace – This enchanting elephant pendant necklace is a symbol of luck, strength and wisdom, and is sure to add a sweet sentiment to your everyday look.